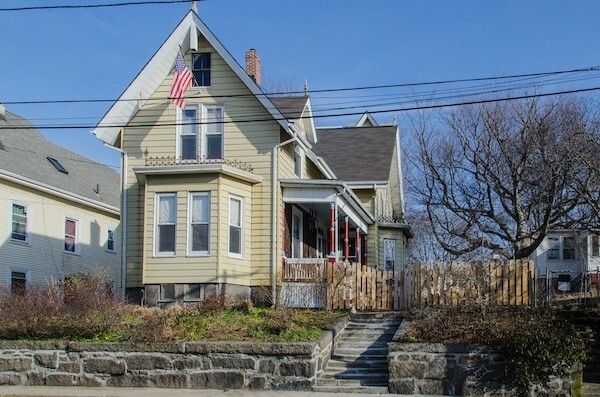 Directions: Between Lawton Ave And Washington St.
Grand Victorian single-family with Turn-of-the-Century classic architectural features. Inviting double-door entry leads to the warmth of the interior with natural woodwork, hardwood floors, high ceilings, 2 fireplaces and an original marble mantel. Stylish spacious rooms with large windows and a lot of natural light. A second 'morning' staircase. Roomy updated kitchen with ceramic tile flooring, ample cabinets and pantry closet. First-floor laundry. Two renovated bathrooms, one on each level, with custom features. Additional unfinished rooms in the walk-up attic for potential future expansion. Full, unfinished basement with level walk-out entry. Storage shed. New high-efficiency hot water tank. Gas FHA heat. Charming covered porch. Fenced side yard with gardens and plantings. Multi-car off street parking.